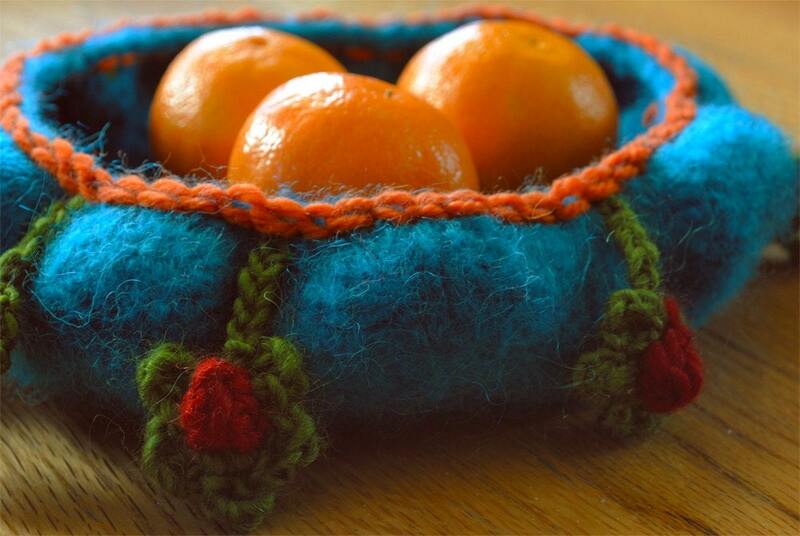 This brilliantly colored, crocheted and felted bowl is perfect for holding small items such as sewing notions or candies. It is a luscious deep turquoise, accented with embroidery and crocheted flowers. 7-1/2" wide X 1-3/4" deep X 22" circumference. Folksy :: Buy "Chunky Turquoise Crocheted 100% Wool Mug Cosy"